As much as technology has taken over all of our lives, I really appreciate getting traditional mail. I love the act of walking out to the mailbox, pulling out envelopes and opening them up to see what was sent! Everyone knows that this is even better during the holiday season! Seeing family Christmas cards is one of my favorite parts about this season! 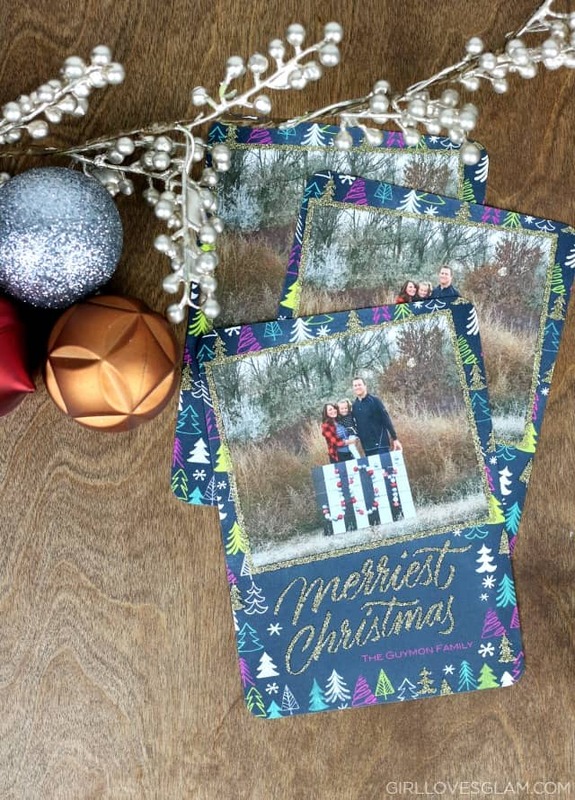 We have ordered our holiday cards from Shutterfly for the past 7 years! Before we even had kids, I wanted to make it a point to send out cards because I knew that our loved ones would appreciate the thought that went into them. It is pretty amazing to see how many different styles of holiday cards that Shutterfly has created over the years. There are SO many options now! I usually try a different style each year. 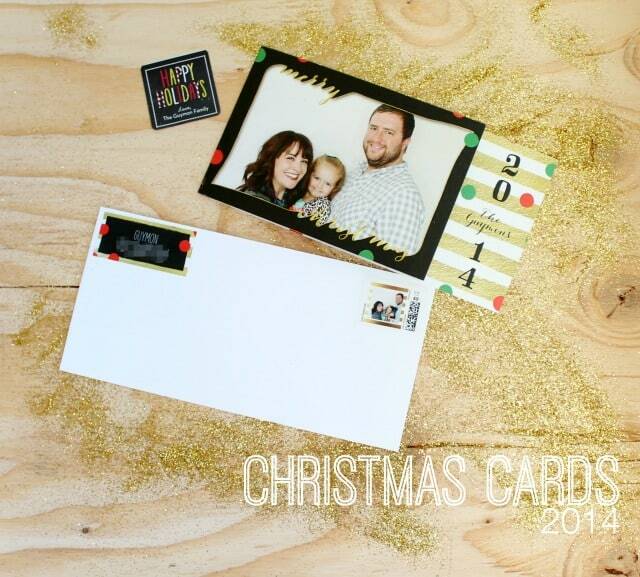 This year, we tried out the glitter holiday cards and they are awesome! The sparkle doesn’t rub off and they just make the card look a little more festive! I think I am the most excited for Christmas this year. More so than I think I have ever been. Part of it may be the fact that we are kind of missing out on Thanksgiving, due to the fact that we will be on airplanes all day that day. I decided to get my house all decorated for Christmas before we go to Disneyland, so it will be all ready for us when we get home. I love coming home to a clean house and coming home to a clean AND decorated house will be magical! Love is in the air and engagements are happening everywhere. My brother got engaged recently, and it seems like all of my single friends are getting engaged right now. I can’t help but be excited to see all of the wedding goodness coming in my mailbox very soon. One part of the wedding that I feel like gets overlooked, are the save the date cards. That doesn’t need to be the case anymore though. 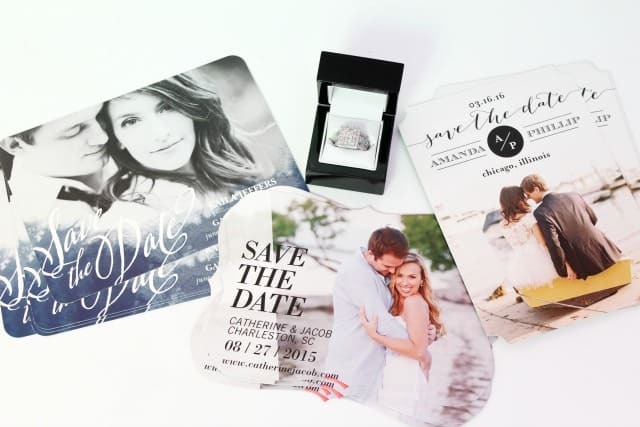 Shutterfly has the greatest save the date cards right now! Are you or someone you know getting married? You have GOT to check these out. Can you even believe that it is already November? The time has come to start thinking about… Christmas! Yep. I dared say it. It is that magical time of the year! I love all of the feelings of holiday spirit that come during this time each year. The smells, the food, the decorations, gift giving, and the mail! If you ask my husband, he would probably say that I am a bit obsessed with checking my mail. I love it! It is like Christmas everyday when I open the mailbox to find envelopes addressed to me. Maybe I need to get out more, but it really one of the highlights of my day. This is ESPECIALLY the case when it is Christmas time. I absolutely love checking the mail and finding holiday cards from people that we love. I love seeing pictures of friends and family and seeing how much their family has grown over the past year. I enjoy reading their letters and feel like it adds such a special spirit to the holidays. I have always made it a point to send out Christmas cards since being married. Even if I am a major fan of technology, there is just something that makes you feel a lot more special when you get an actual card over an e card. 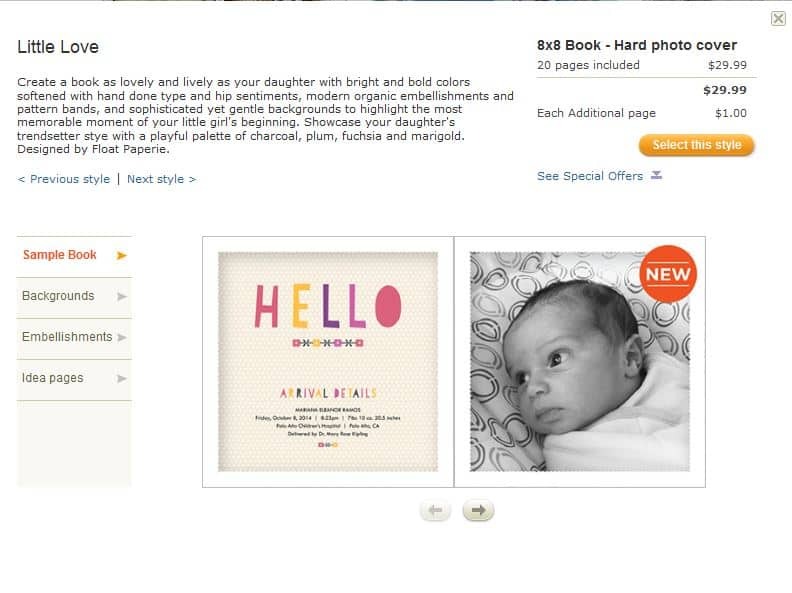 I absolutely love Shutterfly and feel like their cards are not only gorgeous, but are completely affordable too. I have used them for years. 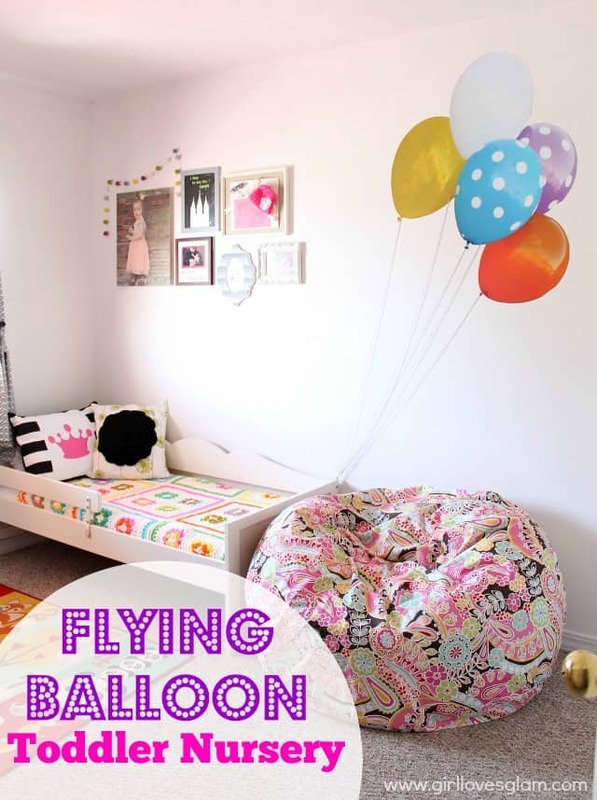 Toddler Nursery Room with Giant Floating Balloon Decal! Since we moved into our townhouse, I knew I wanted to turn my daughter’s room into a completely new space from what it was in our house. She is growing up! She isn’t a baby anymore, but she also isn’t a big girl yet so I wanted to be sure to create a room that is fun and soft like a nursery, but has character like a grown up room. 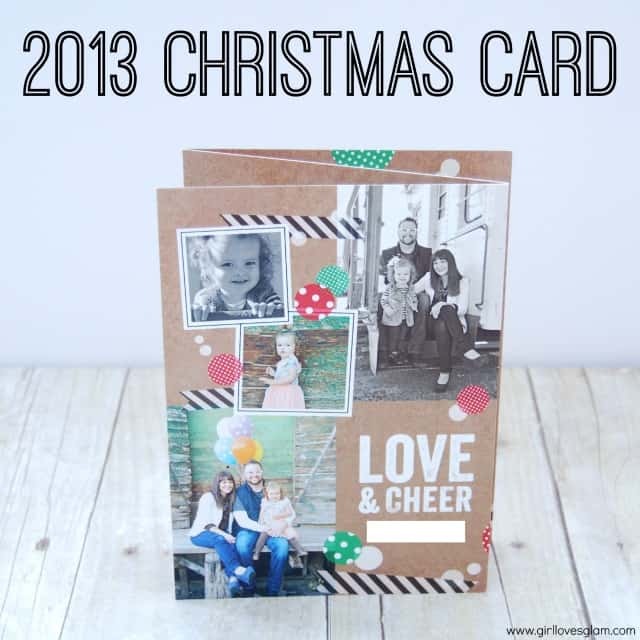 Our 2013 Christmas card and the perfect gift! Could you die?! Isn’t it perfection? I can’t wait to show you the details about my family pictures, but for now consider this a little sneak peek at them! I chose this card from Shutterfly because it was totally love at first sight. I love the color scheme of it. I love that it is mostly brown and that it incorporates the black and white into it too. I think that adds a very modern approach to the traditional Christmas card feel. I also loved that these cards allowed you to talk about members of the family personally. It is easy to highlight the family members that way. I also love that I can write everything I want to on this card without having to type up an entire family newsletter to put in separately with our Christmas cards. I give my mom a calendar for Christmas every year. I started doing that when I was about 14 years old. I have been doing it for over a decade now so my mom now just expects it! When I first started, I would scrapbook the entire thing. I had to start making it months in advance because it was so much work. It also was very expensive after paying for the photos to be printed and all of the supplies. Eventually I started using Photoshop and I made her calendar on there. It was a little faster, but was still pretty time consuming. I went to get it printed and it was a lot more than I had expected! It was a little discouraging because I knew my mom loved getting these calendars for Christmas. Then, three years ago I saw that I could make a calendar on Shutterfly for my mom. My life got so much easier! I was able to put together my mom’s totally personalized calendar in about an hour. The Shutterfly calendar didn’t come at all close to costing what the printed calendar costed to print at my local print shop either. It was a Christmas miracle! Now my little Christmas tradition lives on with my mom’s Christmas calendar this year! 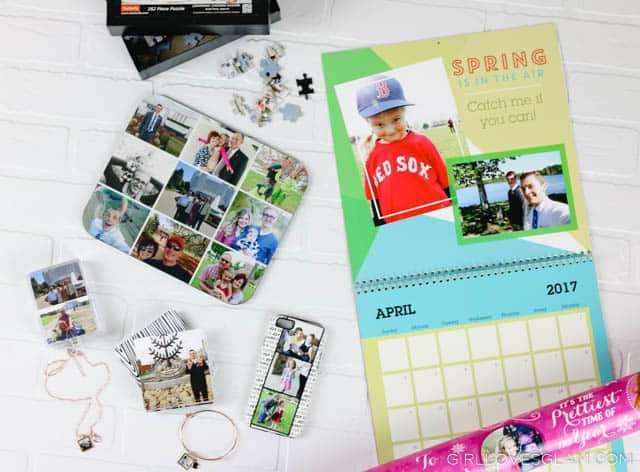 This year is extra fun though because Shutterfly just released their new 12×12 calendar size! It is perfect for my mom because she takes the pages off after the year is done and puts them in a scrapbook. These pages will fit perfectly inside of a scrapbook! Do you order your Christmas cards from Shutterfly? What ones are you sending this year? Do you give personalized gifts for Christmas? I was given these products from Shutterfly, but was not otherwise compensated. All thoughts and opinions are 100% my own. 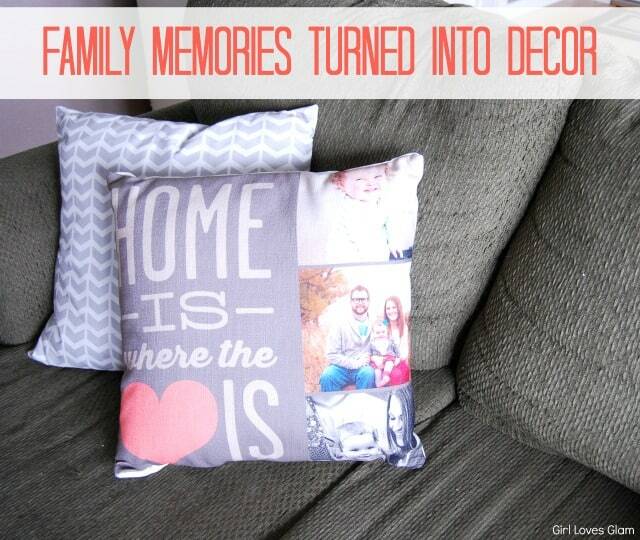 Having family photos on display brings such a warmth to a home. It reminds you of the good times and reminds you of what is really important in life. Sometimes it is hard to think of ways to bring in photos without taking up every square inch of your walls. 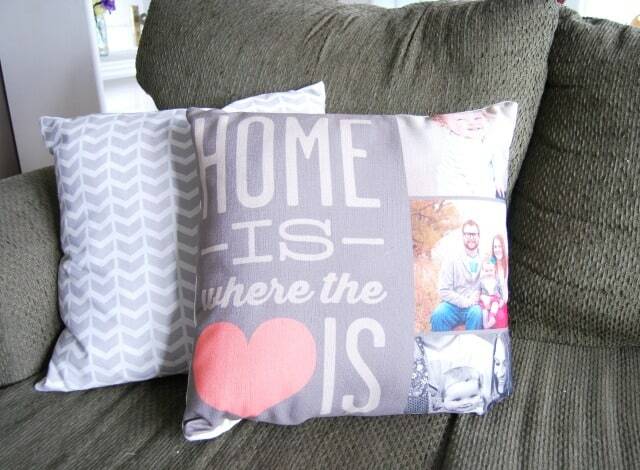 That is why making a photo pillow is a great option! It was so easy to make too! The hardest part was trying to decide what pattern to go with. 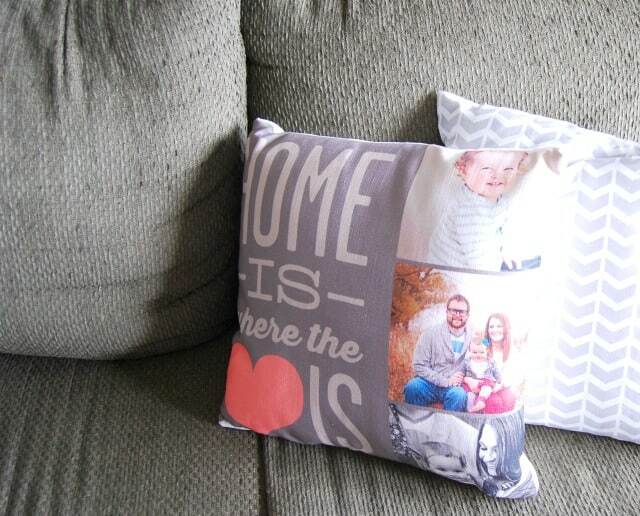 Once I finally decided, I uploaded my pictures and dragged them to the spot I wanted them to be on the pillow. This pillow added just the right amount of color and pattern to my couch. I love the beautiful reminder that it brings to our family room. It will continue to be a great reminder of this fun time in our lives with our little girl. 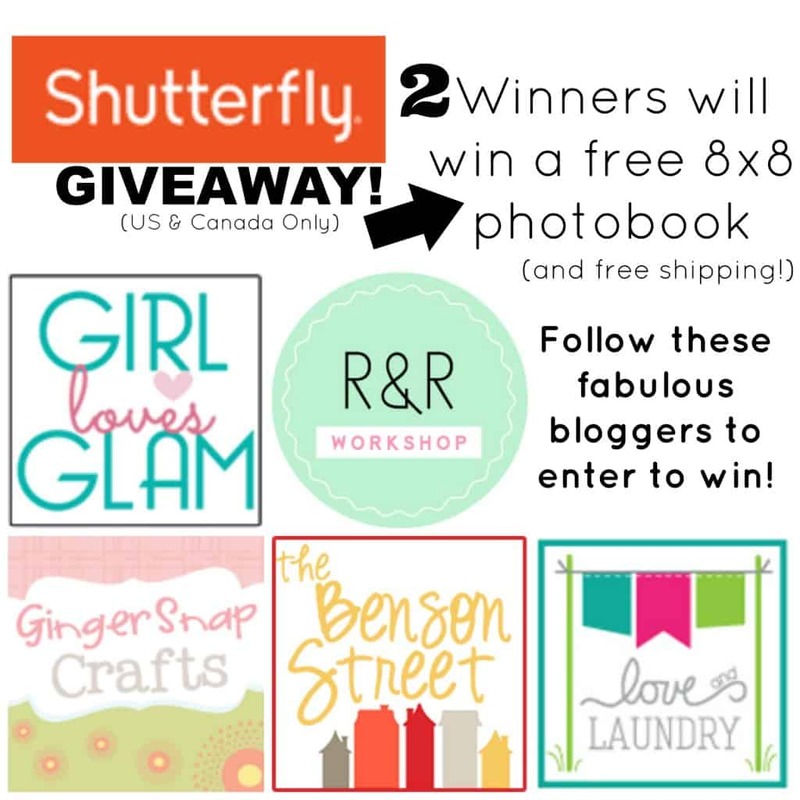 I am so excited to team up with Shutterfly to giveaway 2 photo books! 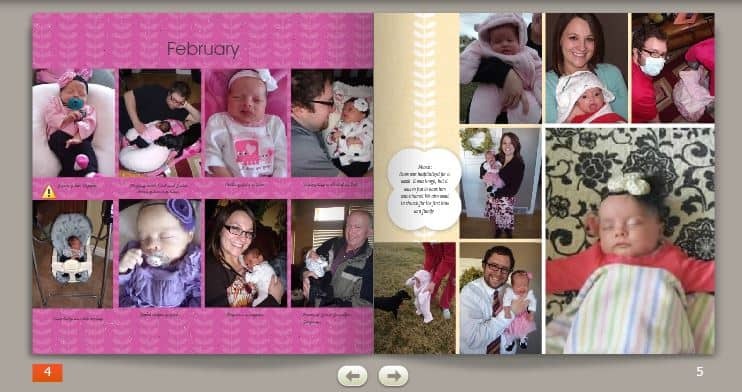 I was able to make a photo book of my own from Shutterfly too! 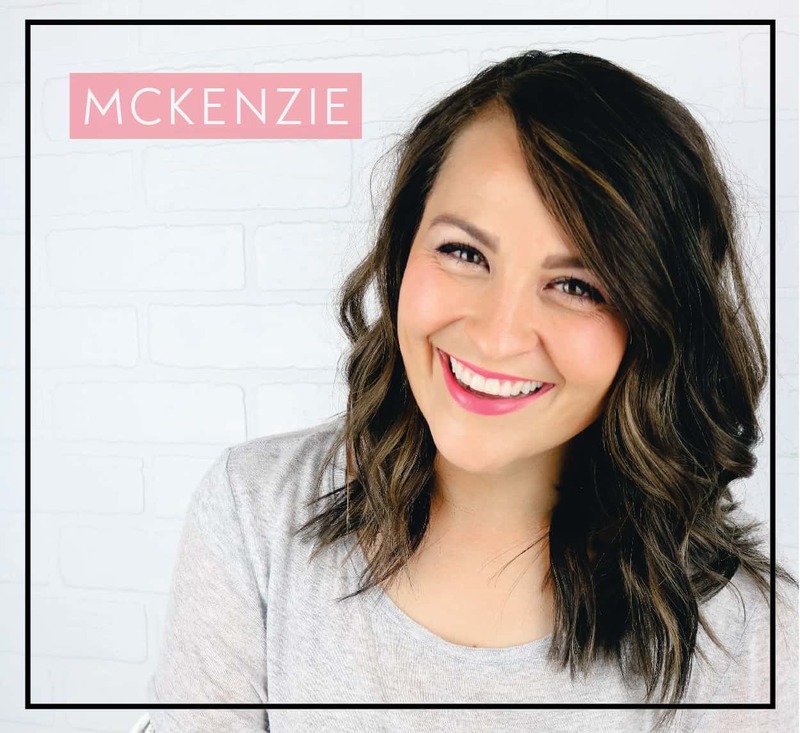 I have made several photo books from Shutterfly in the past, but they get new layouts, backgrounds, and decorations all of the time so each time I make a photo book is a new experience. I chose the Little Love theme for my book. 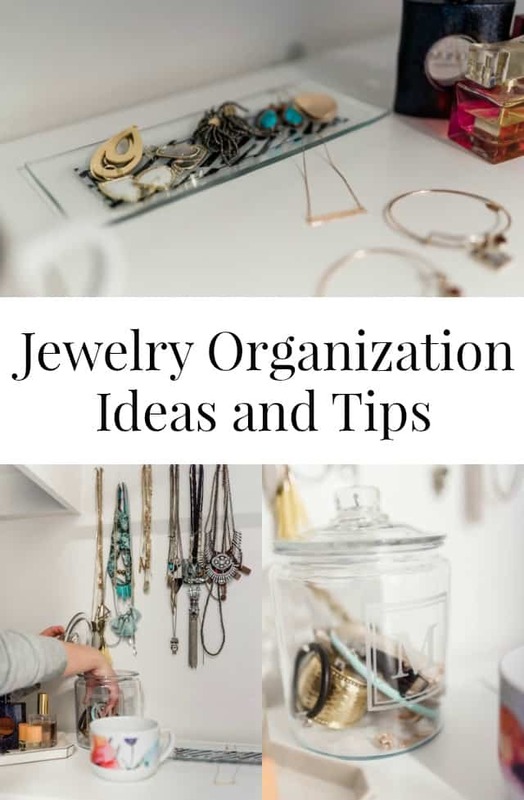 It is full of soft colors, fun patterns, and sweet designs. I was excited to have the opportunity to make one about my daughter’s life! She is almost 19 months old, and I have no sort of scrapbook for her. It was so easy to make! All I had to do, was drag and drop photos in their places and add text here and there. It was easy as that! It has been so fun to relive all of these sweet memories that we have created as a family. Now for the fun part! 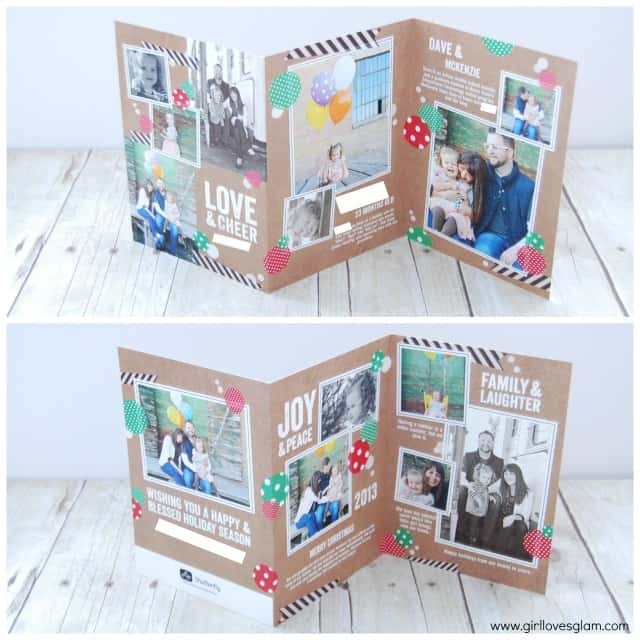 I teamed up with a few other bloggers to giveaway 2 Shutterfly books to two lucky readers! To enter to win, use the Rafflecopter widget below. Good luck!